A dramatic car chase through the heart of Providence, RI, on Thursday morning ended in a fatal officer-involved shooting near the Providence Place mall. A male driver is dead, police confirm, and a female passenger was taken to the hospital with serious injuries after officers opened fire on a pickup truck on the I-95 North on-ramp by the mall. Providence Police Maj. David Lapatin said the woman who was shot is expected to survive. Neither person has been identified. 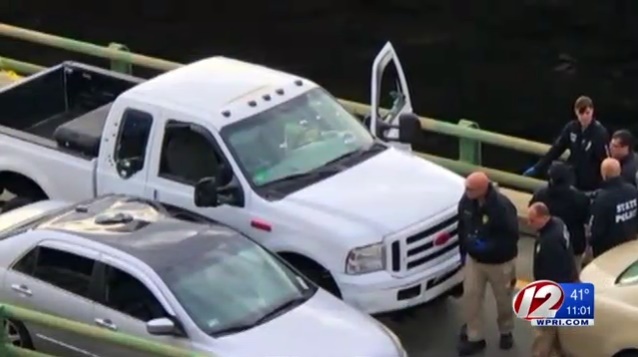 A witness said moments before the shooting, the driver refused to exit the truck for police and then drove the vehicle into a cruiser, WPRI TV reports.